In a Nutshell: Business owners never know where the day will take them, and many find themselves interacting with customers outside of normal business hours. 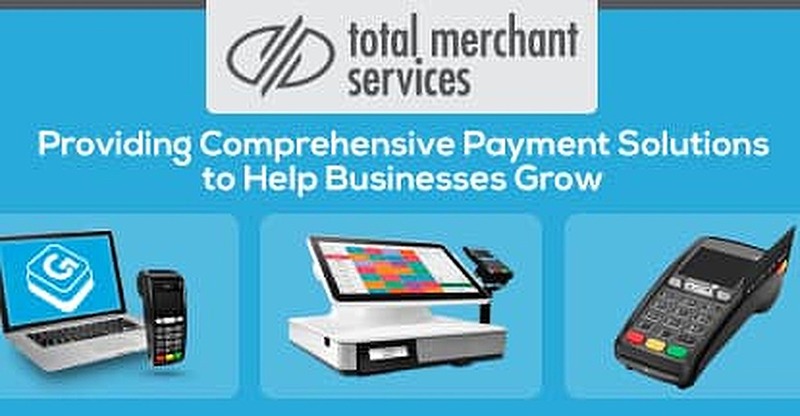 Total Merchant Services, a payment processing company with two decades of experience, understands how essential it is to adapt to the unexpected. TMS recognizes how important each one of those payments, no matter how small, is to a business owner. As a leader in the payments industry, TMS offers complete transaction solutions — like the Groovv all-in-one point-of-sale-terminal — that accept a wide variety of payments, from EMV chip card to Apple Pay to personalized gift cards. TMS also offers mobile payment devices that leverage the same software and security, but add portability for entrepreneurs on the go. By providing user-friendly software at affordable rates, TMS is dedicated to helping its clients make the most of their businesses every day. Business owners know all too well that days never go exactly as planned. Depending on a variety of factors, they may be accepting payments online and in-store or even tracking inventory from a hotel room. Maybe they’re swiping credit cards at a busy national convention or selling their products in various cities along a U.S. tour. Whatever the goals or needs of business, payment processing requirements can differ dramatically and can often change on a daily basis. Total Merchant Services recognizes that payment processing solutions should be customizable and adaptable to suit every client’s need, no matter how unique. That flexibility is what TMS has kept in mind for over two decades as it has developed new features and expanded its payment processing offerings. TMS provides diverse options to suit every scenario from all-in-one POS in-store solutions to digital terminals for accepting payments from any laptop with an internet connection to mobile payment options that allow businesses to process transactions from a smartphone (or even an Apple Watch). Through its many products and features, TMS helps clients seamlessly sell their products to loyal customers and grow their businesses smartly and efficiently. That premise has allowed TMS to continually evolve with technology and innovate affordable and user-friendly features to the SMB it serves. By making its primary focus helping people, not products, succeed, TMS brings confidence and stability to a hyper-evolving market. That customer-first approach has allowed the company to expand consistently, and its loyal customer base has grown with it. Today, the company processes more than $12 billion in credit and debit card transactions annually. The most adaptable aspect of TMS is that its solutions aren’t limited to one industry or one style of business. The company clearly understands that businesses deal with ebbs and flows, but that every entrepreneur or store owner needs one simple promise from the payment processing provider they use: that it will provide a sales solution when they need it, where they need it, and that it will work. All of the TMS products use the latest technology to give business owners easy and efficient ways to manage their transactions. Among its countless options, the company offers free EMV-compliant terminals and credit card readers that accept all forms of payment, online payment virtual terminals businesses can use anywhere with the internet, and of course, all-in-one point-of-sale systems for businesses selling products in-store. TMS has developed tech-savvy solutions so businesses can differentiate from competitors. The name Groovv POS sounds fun, and that’s fitting — TMS’s all-in-one in-store solution is well-designed, easy to use, and aesthetically pleasing enough to sit on any business’s countertop. It’s also free for merchants who meet TMS’s minimum inventory and processing levels. TMS has developed Groovv to be an adaptable point-of-sale payment processor that has a host of other features. The Groovv POS is out-of-the-box ready — or as TMS describes, “no-fuss set-up” — so it can be used anywhere with a wireless connection. There’s a 13-inch flip touchscreen, cash drawer, scanner, receipt printer and built-in, industry-leading software. Flexibility is included, too, as businesses can choose either a countertop solution or a mobile model. Features include intelligent reporting, an inventory management system to help track sales and get alerts when products run low, and tipping and split billing options for service businesses. For any restaurant, retail shop, or even salon, Groovv can be an ideal solution. Accepting online payments is a necessity for most business today, but because of security risks and complicated, expensive technology, businesses with low overhead and not much experience in e-commerce can find it a difficult proposition. TMS builds its products to accept the latest forms of payment, like Apple Pay from an Apple Watch. TMS offers secure solutions for all those “card not present” transactions so businesses can focus on generating revenue, not the technology. Its Groovv Online Payments system performs the same functions as a physical terminal, but integrate it with a website through an online payment processing gateway linked to TMS. That security leads to less worry about compromised data or security breaches. The Groovv solution includes a virtual terminal to authorize and process credit card payments and debit card transactions from any laptop. The result is a system that’s ideal for entrepreneurs on the move. Business owners can process a purchase from any computer and email a customer a receipt, even when traveling. TMS’s online and mobile payment options also allow clients to accept membership dues or run subscriptions and hosted pay pages dramatically simplify the customer checkout process. For those businesses in need of a solution that falls between online and in-store processing, TMS offers mobile terminals that accept all the major credit cards (including EMV) and even Apple Pay. The system makes it possible to process payments from an iPhone or an Apple Watch. Whether it’s an e-commerce shop selling products online, a business that needs to process phone credit card payments from any computer, or a company that needs to charge customers on a recurrent billing schedule, TMS offers a virtual solution that will suit and adapt to those needs. Part of the reason TMS has grown its customer base so consistently over the last 20-plus years is that the company is dedicated to helping clients advance. Per the company mission, “understanding, respecting, and encouraging entrepreneurs,” TMS takes its services one step further — by offering marketing and loyalty tools to help clients better develop their audiences. The best entrepreneurs know how important it is to build customer loyalty, and TMS helps them. Through TMS’s marketing solutions, businesses can engage customers by offering loyalty programs, gift cards, and sending out incentives via email, social media, or text. 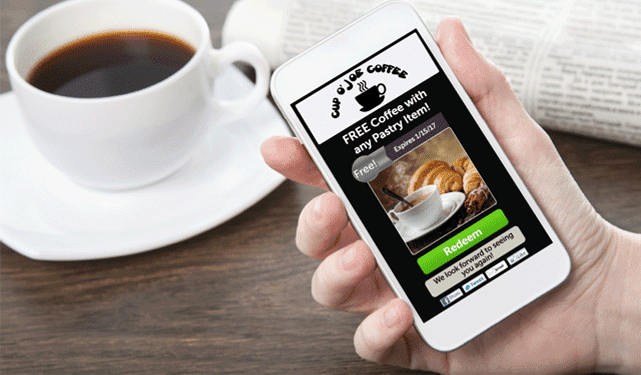 TMS lets business engage with customers through alerts as well as offer gift card and loyalty programs. The loyalty programs are some of the most flexible out there. TMS lets businesses determine their own incentives and approaches — they can offer free products, discounts, or percentages off of future purchases depending on their preferences and needs. Businesses can pick the option that best entices their target audience to convert. Every entrepreneur begins with a belief in what they are selling and are confident their idea can bring a business to life. But each path requires tools specific to their mission. For the antique dealer, the world is full of estate sales and flea markets. For the local restaurant owner, it looks a lot like a dining room. Each has a set of challenges that TMS can help solve. TMS understands that every entrepreneur sees the world and runs a business in different ways. Its products aim to provide each client with the tools they need to grow bigger on their own terms. For every one of its half million (and counting) merchants, TMS dedicates its resources to fostering success long-term — but also every day.